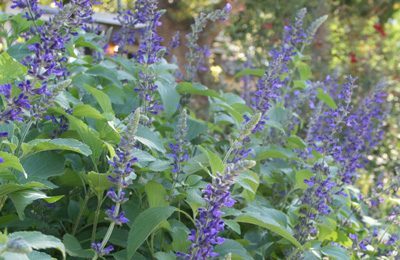 Mealy blue sage is a great perennial for full sun or light shade. It gets 2-3′ tall by about 3′ wide. It does get a little taller in shade and more sprawling in the sun. The flower spikes are about 12″ tall, and are usually a pale blue to dark blue purple. More rarely you can find a white cultivar. 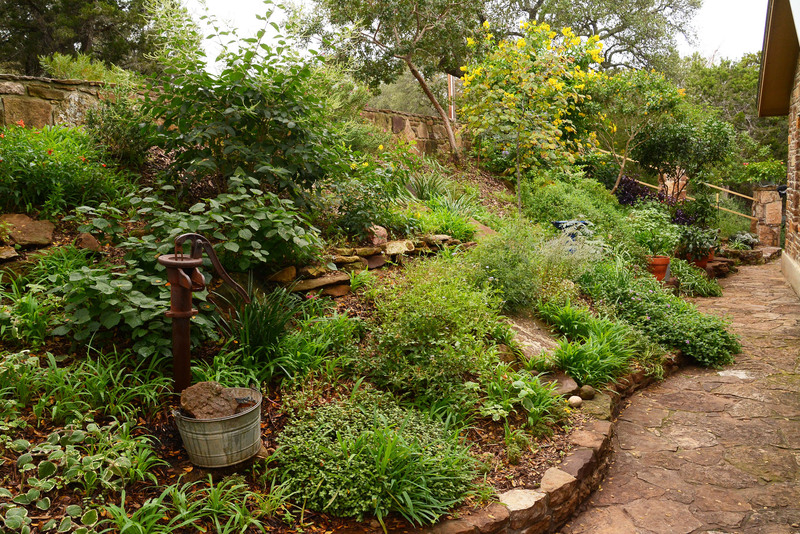 It flowers from late spring to first frost, attracting lots of butterflies and hummingbirds. The leaf color varies from either a greenish-grey to darker green depending on the cultivar that you choose. These plants are perennial and hardy down to 0. In winter you will shear them back and they will return in spring. They are very drought tolerant, meaning that they can take periods of drought, but they do prefer to be watered regularly, but don’t over water them, especially if you have a heavy clay soil as many of us do. They do prefer lighter soil, but they can tolerate sand and heavy clay. Like many of our salvias they are reported to be deer resistant, although no plant is deer proof.